Even if we posted a new custom theme for the Galaxy Nexus every day for the remainder of the year, I don’t think we would be able to post them all. There is such a strong and passionate developer community surrounding this device that reminds us so much of the good ‘ol OG DROID days. 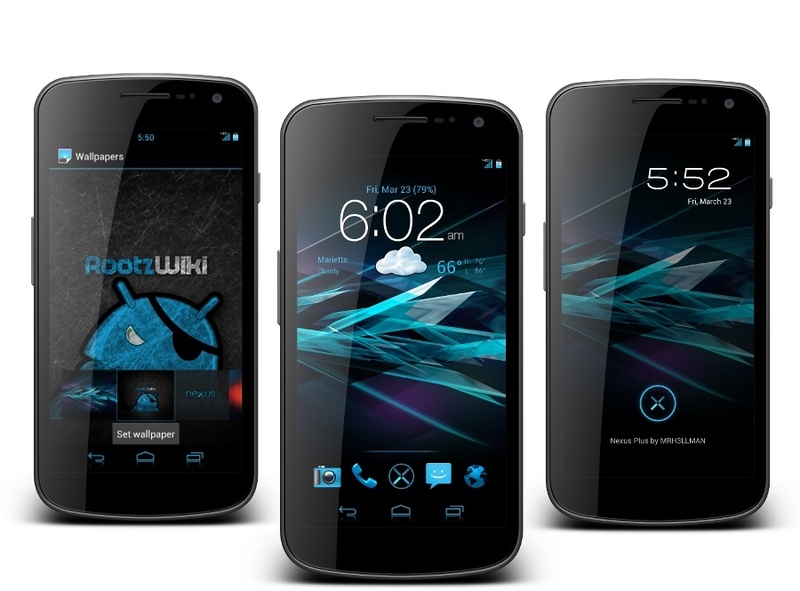 The next theme we are spotlighting is Nexus Plus, which will run on top of the Android Open Kang Project’s Build 28 ROM or Rootzboat 8.2. Both of which are fantastic ROM choices for Nexus owners. This theme aims to darken, but also colorize certain aspects of the device. It’s very pretty and sort of gives off that nice blue glow which Ice Cream Sandwich is best known for. If you are looking to further your Nexus experience, then we recommend trying it out. You must be on AOKP Build 28 or Rootzboat 8.2 to flash this theme! Download zip file and place on phone’s storage. Reboot into ClockworkMod Recovery and create Nandroid backup. Locate zip file and install. If you run in to any issues, please don’t hesitate to shoot your questions down below.